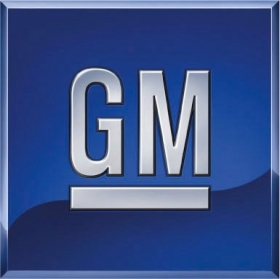 DETROIT (Bloomberg) -- Industrywide U.S. auto sales may accelerate this month to a seasonally adjusted annual rate of about 14 million, the best pace this year, a General Motors Co. executive said today. "We're expecting to get close to that 14 million" rate, Don Johnson, vice president of U.S. sales, said today at a Barclays Capital investor conference in New York. The estimate includes medium- and heavy-duty truck deliveries, which the Detroit-based automaker has said usually adds 200,000 to 300,000 sales to monthly annualized sales rates. Light-vehicle sales in October rose to a seasonally adjusted annual rate of 13.3 million, matching February's pace that was the best since August 2009 when sales were boosted by the U.S. government's "cash for clunkers" program, according to Autodata Corp.
Industry sales may be "flat to slightly up" next year, Johnson said today. "Talk of a double-dip recession appears to be receding," he said. "We need improvement in the labor market to support consumer spending. The European debt crisis remains a concern." Industrywide U.S. sales rose 10 percent this year through October to 10.54 million cars and light trucks, according to the Automotive News Data Center. The pace of U.S. auto sales dipped below a 12 million rate in May and June after Japan's tsunami disrupted parts supply and production for Toyota Motor Corp. and Honda Motor Co.
GM expects to see "short-term downward pressure" on market share for automakers based outside of Japan as Toyota and Honda customers return to dealer showrooms, Johnson said. "There were a lot of very loyal intenders for those brands who sat on the sideline, who had leases extended by the manufacturer, who were given bonus cash if they waited until inventory came back," he said. "A lot of those customers have started to come back to the market."